The team is proud to announce the release of Linux Mint 18.3 “Sylvia” KDE Edition. Previous Previous post: Linux Mint 18.3 “Sylvia” Xfce released! Just performed the upgrade to 18.3 via Update Manager and the process was flawless. Not one problem found. I’m saddened that 18.3 is the last Mint KDE, but happy that it is good for another 3-1/2 years so I still have time to enjoy all the Minty goodness. Thanks so much Clem and Team for all you do. 18.3 is the last KDE? I just installed Mint, I guess I will not be on it long if that is the case. Sounds like I just wasted a day. I also have an RCA Maven Pro 11.6″ 2-in-1 Tablet that I want to remove the Android 5.0 OS with Lollipop UI and replace all of that with Linux for Tablet. According to its internal device info (in the Settings) about 32GB internal storage memory and I added a 32GB SDHC Ultra PLUS MMC micro card in the external port. I intentionally destroyed the original installation which was trying to change everything to the Google Cloud Drive. And then I used the “Reset” button which reset the system to “Factory Setup” and now it will allow me to change the “system write drive” to either the external SD card or a USB 2.0 drive, it has a full size USB 2.0 port and a micro USB port (the micro USB port is also for charging). Let me know if anyone knows how I can install Linux into it thereby erasing the Android system. I already replaced MS Windows 10 on my churches Dell XPS 8900 Desktop Computer with Linux Mint KDE. Though it was running UEFI Bootup but I used the Dell BIOS which has a Maintenance section that includes a “Secure Disk Wipe” feature and with that I wiped the internal HDD hard drive. Then I tried different distributions of Linux but found that Linux Mint KDE was the only one that worked for this computer so I installed it. I have made some changes to the System and installed programs since then. In the end The Dell XPS 8900 will be both the Desktop Workstation and the church’s Servers for Virtual Web Hosting and for the Email Server as well as other needed Servers (it has a 2TB internal HDD). But I still need to change the RCA Maven Pro Tablet which has a removable full Keyboard. I have to have physical Keyboards as I am one of those human dynamos. I literally generate energy and emit an RF Signal so strong that it sets off mental detectors and Geiger Counters just like radioactive material does. I quite flying because of the extreme hassle at the Security Check Points of all airports. It took me many years to workout how to use computers without destroying them. Though the big Mainframe computers were able to handle it but tend to call me “the Master”. It makes sense to focus on fewer projects to get a better quality. IMHO Mate and XFCE are also a waste of resources. Theoretically KDE could be the best DE if its developers didn’t waste their resources on pointless features and projects. It uses a descent and commercially supported toolkit. Say what you want, but Qt is leaps and bounds ahead of GTK+ and it’s the best UI toolkit we have in the open-source world if not in the world. GTK+/GNOME wouldn’t exist if Qt wasn’t proprietary at it’s time. The real problem in terms of resources was that Mint KDE was harder to fit in with the Gtk based DEs & apps that were being focused on in all the other Mint projects. It’s a shame to see the KDE version not being renewed for version 19, but there is far less reason to eliminate desktops that all use a common toolkit with the main desktop tools & apps that Mint makes. I think part of the problem might just be the way things are done in KDE 5, because as a desktop user I’ve had some theming trouble with it. I want the older & far more attractive Oxygen theme rather than the flat & ugly breeze theme & I’ve had trouble as a result. Honestly it’s better in Mint 18 KDE than in Mageia 6, but it takes some playing around with. I’m not sure how much effort the Mint team put in & how much was upstream, but Mint KDE has been great, especially after a few tweaks & tools were installed from the package manager. The whole desktop feels more consistent, though I do hit one minor bug on occasion. Anyway, I’ll keep using LMDE Cinnamon & try some of the other editions like XFCE too. Keep up the good work Mint team, & I’m sorry to see the KDE version go. …and this applies to anyone Mint might consider partnering with. It is the partner’s responsibility to continue to act in a manner which justifies an on-going, mature relationship, or suffer termination. There’s a word for this: “evolution”. Please Please Please DO NOT drop KDE for edition 19. Yeah. Kde its very good. Plz, dont drop!!! KDE 5.12 which will be realeased next year will be awesome with its performance, usability and wayland support improvements will be awesome! Linux Mint developers should’ve definitely waited one more year before dropping this wonderful DE, if they still felt like it. An addition to my previous post. The Dell XPS 9800 is not running UEFI now as that was removed during the Data Wipe. But it still has the ability to re install UEFI but I have no desire to do that as I found problems with the UEFI Bootup. And I will never use MS Windows ever again, not just because of the problems related to my energy but because Microsoft tried to steal my church’s files and put them in their “One Drive” cloud drive after I said NO. So I retrieved them and destroyed the One Drive file setup they illegally made for our files after I said not to. Also I tried Fedora but the new Fedora is trash unless you install their default Gnome fully and then it is just slow and inept. And I tried Debian but it would not install and I tried Ubuntu and then Kubuntu and the same thing. So the only Linux I have found, so far, that will install correctly on this Dell XPS 8900 is Linux Mint 18.1 or 18.2 or “?” (have not tried 18.3 yet). But I am also really looking forward to replacing that Android 5.0 in our RCA Maven Pro 11.6″ 2-in-1 Tablet. Any help or ideas that work will be appreciated. I am tired of Google always saying that it is a phone when it is not a phone but a tablet. The RCA Maven Pro has an ARM-based processor. That architecture is not supported by Linux Mint as far as I know. Have a look at Ubuntu or Debian. They both have some arm alternatives. Due to different Arm architectures you would need one compatible. I strongly suggest you stick with Android. At least the tablet works and if you do something wrong you could brick it. Basically this means it wont do anything and be useless. I wish you well and hope you find a solution that works for you. As to those having trouble with the newer themes in KDE (K Desktop Environment) you can install the Oxygen theme and use it in KDE 5 which is one of the changes that I made. But I do wish they had not changed the Korganizer in it as I rather liked being able set the Calendar to show the 4 digit year then 2 digit month then 2 digit day and to reseting the AM/PM to NH/DH (NH for Night Hours and DH for Daylight or Daytime Hours) as I run my clocks on the timing God set down in His Sacred Word ” a day is from sunset to sunset. So all of my clocks are set that way the day changes at sunset which is closest to the secular time of 7:00 PM it tends to bother some people but I have found more than a million people that like it. Please always with KDE!!! Is the best Distro Linux Mint powered with KDE!! The best KDE version of the planet. It is a pity that Mint has decided to disappear this version of its product portfolio. I think you should listen to your users and try to keep KDE. please do not take it out of your products !!! Ok. I have been digging the internet to find how to do multi workspaces in this version. I mistakenly downloaded Sylvia instead of Cinnamon. I used to be able to do that in Cinnamon. Can this version do multi workspaces? If so, how do I enable it? Like flipping over to another screen and launching more apps there and quickly flipping back and forth. Like another full UI container – You can flip back and forth just as easily as with Virtual desktops, but provides a bit more isolation and lets you set up a different set of widgets and wallpapers as well. You can use either, or both. E.g. An activity for “Work” and one for “Personal” with different wallpapers to make it easy to tell them apart and then also 2 virtual desktops to virtually double your screen real-estate in each activity. I use “Work” with a bright wallpaper to keep me awake and “Media” with a dark wallpaper so I don’t get distracted by bright colors on the adjacent monitors when I watch a movie. As I have multiple physical monitors, I find I don’t really have a need for the virtual desktops feature on my main PC, but it is a great way to declutter my the screen when using my laptop. CORRECTION: Super+TAB is also for activities by default, not desktops. It is to Activities what ALT +TAB is to windows. There are other Shortcuts for desktops. (e.g. Ctrl+1 for desktop 1, Ctrl+2 for desktop 2). Find them in System Settings > Shortcuts > Global Shortcuts. Everything is subject to change through user customization. One more thing: Activities can also have their own power management profiles. e.g. Don’t turn of screen or sleep when in the “Media” activity. I have the 18.2 release installed but it is blocked during the start up with the message *ERROR* render: timed out waiting for forcewake ack request. I’m not able to revert the situation (problem with the graphic card and the kernel, I guess). So I’m thinking to install 18.3 but I’d like to keep configurations, software, etc.. Is it possible to do it by using the terminal? Installed 18.3 without a glitch and it works flawlessly. Again a great product of the MINT team that even knowing that they will discontinue the KDE platform are extremely professional and deliver one of (if not) the best KDE based distro out there with support for another 3 years. My hat off to you guys! Wonderful work and commitment. Sad to see KDE go. worked well. however, there still some kernel updates suggested, with which I do not know what to do. This is the best. I just installed it and i think this is the best than kde neon. It can run dolphin as root, and i think more stable and friendly. I hope i didn’t install another linux os and linux mint will be the last. KDE is beautifull but i didn’t know, what os supported kde with stable and easy to use for newbie. Thank you. Why are they ending support? They should listen to their users and keep support. I have tried literally every single distro in distro watch because none of them feel right so I keep coming back to Linux Mint. Will probably jump ship and go with regular kde after 2021. Did you consider adding a few wallet addresses for accepting BTC/LTC (and others) donations? Yes. Bitcoin is extremely volatile right now, and the current transaction fees make it unsuitable for small payments and donations. Addresses were added for Litecoin, Ethereum and a few others altcoins on https://www.linuxmint.com/donors.php. Sad news, that we will have Linux MInt without KDE in future. Please think about this decision. Guest a big community will thank the team. For me a few of the things missing from Linux Mint KDE will be it’s software sources management in Discoverer, it’s very useless, and also Software and Update managers from Linux Mint. If those programs will be usable by any other KDE (Kubuntu, Neon) distro it would be great, but I understand that they are mostly tailored specifically for Linux Mint. how do i uninstall linux mint from my computer.. it keeps freezing up and is very slow. This will wipe everything from your computer including Linux Mint. Make sure you have a bootable DVD vor USB with another OS on it, so you can install it on your computer after the deletion. Heederman’s answer to your question is terrible. There is no reason you would want to delete all the files that make up Linux Mint. If you are unsatisfied with Mint, what you most likely want to do is 1/ before anything else, save all the files you want to keep to an external hard drive, and only when that is done 2/ install another operating system (OS) in place of Linux Mint (Fedora, Debian, Free BSD, Windows, etc.). Installing the replacement OS will take care of “uninstalling” Linux Mint from your computer, if you tell the installer to just replace the current system. But again, don’t forget to backup all your files before installing a new OS. I don’t see any difference between your answer and mine. I would suggest if the Computer is very old it may be time to upgrade. A solid state drive may make it quicker. However both answers given are basically the same. They both are correct always backup all your personal files. I would suggest you try XFCE edition. It is way less resource hungry and should be faster. I must say that KDE is a real help in order to convince people in companies to drop M$ windows and Appl€ Mac stuff to Linux as it’s a very complete and very neat environment. Cinnamon is good at my home, but unfortunately won’t convince classical end-users afraid of changing to Linux in companies. Beyond KDE technical inner qualities, that’s also something to keep in mind if one’s want Linux one day getting a bigger desktop PC market share than the ridiculously small one it has at this stage. Keeping KDE in Mint would be a good thing, I believe, as Mint is really bringing something vs Ubuntu with its way to manage and handle thing cautiously. I never had a dead Mint PC due to a bad patch introducing regressions, while it happened countless time with mainstream ubuntu. That’s also a good point for Mint in order to be accepted on larger scale. No end-user, knowing virtually nothing technically speaking, wants its machine to randomly die! It does not happen since many years now with M$ et Appl€, it’s a pity it still happen with Ub! Keep up the good job anyway, and have a nice day. The best of KDE distros. Do not abandon it. It will be disaster for all of us. First of all, thank you (who worked on it) for this release. What the recommended linux core for this release? Except last releases, system has shown active and recommended cores. As for me it was useful. But now only the active core is show. Why has memtest86 been removed from the live DVDs? I needed it last night after a ram upgrade and it was gone. Package mintinstall is not configured yet. Package mint-meta-core is not configured yet. BTW, this happened on both a physical machine (Lenovo Thinkstation C30) and a VMware Workstation Pro 14 (Windows 10) VM. This error occurred while updating linux mint. pl z. replay with positive solution. KDE Mint mint is still the best KDE distro out there. I have bugs with it when mounting/unmounting network shares, it usually hangs. But that’s probably the only issue I have had with it so far. Does it support cde connect? There seems to be a bug in the User Manager. After I successfully add a user and close the User Manager, when I open it again, that user is not displayed. The user still exists, can log in, etc. but it’s not displayed. ¿Como que va a ser la última con KDE? pero si es la mejor! ¿QUe vamos a hacer ahora? Ce qui m’ennuit beaucoup, c’est que tout est en anglais. Donc, dans le doute, je n’utiliserai bientôt plus LINUX. Quel dommage, nous avions peut être beaucoup de choses à échanger. What annoys me a lot is that everything is in English. So, in doubt, I will not use LINUX any longer. What a shame, we had maybe a lot of things to exchange. Could you say please how to make root running plasma apps to look like user’s ones? Please continue to develop Linux Mint KDE 19 !! Cannot thank you guys enough, its just awesome! Staring to have problems with PCLinuxOS KDE distro (they no longer support 32 bit for older laptops and machines which is a complete shame), I decided to try out the Linux Mint 18.3 “Sylvia” and to my surprise it ran flawless with not a single issue for my Dell Latitude D430. The biggest shock was the connection to the web right off the bat as it installed. You can imagine my surprise that even updates were installing at the SAME TIME it was installing! It is a NICE thing to see Linux still being supported with the 32 bit setup for folks who cherish their older systems. I HIGHLY recommend Linux Mint 18.3 “Sylvia” to ANYONE who wants a smooth and quick OS. Shutdowns are in less than 3 seconds when you shut down the OS and that is WICKED FAST and is a nice when I want to shut my system off; I don’t have to sit for 30 seconds to a minute to get away from the computer. All of my favorite downloads were right there off the bat with Linux Mint KDE with Audacious, File Roller, TOR, VLC, KDE paint and many of the other programs I cherished using PCLinuxOS – Linux Mint had them all ready and waiting for me and their downloads are quick and painless to install. 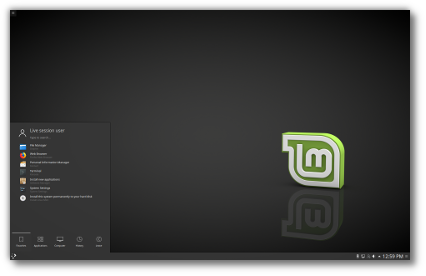 All I can say is WELL DONE Linux Mint. WELL DONE. I am hooked and THANK YOU for all your hard work. EXPECT a nice donation this year from me to keep Linux Mint KDE 32 bit alive. Mate = Gnome, Cinnamon = Gnome. Different versions of Gnome but, I think one of those should be dropped not the KDE version. Sad KDE is being dropped since I just recently installed 18.1, recommended it to a few people and now have to find another Debian/Ubuntu KDE distro. There is Kubuntu which has quite a few annoying problems. Hello. I wishe you all excellent and merry Christmas even if it’a bit in late. I’m a very low Linux user. Despite this, i’m using Linux Mint Cinnamon on 1 laptop, 2 desktop PC (2 Cinnamons, 1 Mate + Xubuntu on dual boot) since a very long while. I’m most a windows user but, i found these lasts years, Linux is going very very well. I’ve bought a new computer and was about installing as fast after got all devices assembled both 18.3 Mint Cinnamon and 18.3 Mint KDE as dual boot. The prob is that i’ve heard about the Ubuntu 17.10 issue which is turn some bios computer into a brick. Let me tell first of all, i’m not here for trolling. 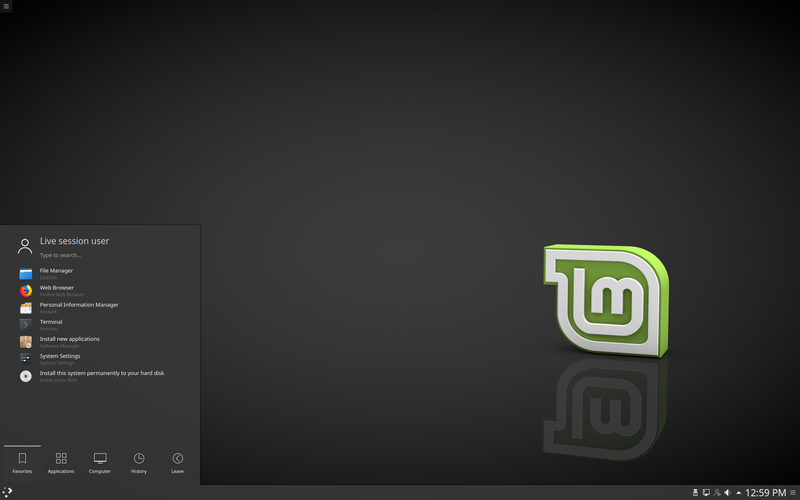 I became a Linux Mint (and also Xubuntu) great afficionado user, my knowledges about Linuwx are very low thought. And since i’m not an IT people, i’m very afraid about this bad story with faulty kernel or bios or whatsoever i don’t know. I was searching some more informations if Linux Mint was concerned with this problem and i can’t. ” since nvidia driver getting wrong with wayland in ubuntu 17.10 i will try to use linux mint (again). any problem with nvidia driver?”. My new rig is an ASUS based upon MB, an i5 and a n’vidia GC. I think it would be really great and wise as well, if someone from Mint would go here and states what is good and what is not. For low end users like i’am, it would be really nice. Thank you very much with advance. Netflix does not worke on the new google chrome. It allways wishes Windows Silverlight but I didn’t find it for Linux? What is the real reason to why Linux Mint 18.3 KDE wont be supported further than 2021? copyright issues? the KDE developers’ priorities simply don’t align–and have been diverging steadily for a long time–with those of MINT Linux. Hello guys ! I very like KDE version of Linux Mint and want to use 18.3 edition, but here is my BIG problem – on each Linux version based on Ubuntu 16.04 LTS I have same irritating error – CAN’T LOAD some sites. After very long time of waiting here come the error of connection. I read about this Ubuntu 16.04 LTS problem /it is very popular/ and try hell almost everything, but – nothing changed. I try with proxy, without proxy, with any know /and learn much unknown/ browsers…. I use DSL I-net connection with name and password. On Ubuntu 14.04 LTS based Linux, encl. Mint 17.3 KDE /which I use now/ I have no errors. But I see that support of it is near to end and want to use new Mint 18.3 KDE with beautiful desktop and menu and etc. So if anyone know some way to help me with this error, please let me know here. Thanks ! My HD has two partitions. Can I have Linux on one partion and Microsoft on the other? I want Linux to be the OS of my first call on booting. What do I need to do? Yes you can with just about any distro of Linux, but the part that is not fun is you have to install your version of Windows first. After that, defrag the drive and make sure Windows has enough room for itself (including other programs you wish to install later) as well as have enough room for Linux. THEN you install Linux in another partition. It’s NOT FUN but having a dual boot system has it’s rewards. I myself do not do this but have tried it.